It’s time to celebrate National Eat Your Vegetables Day! 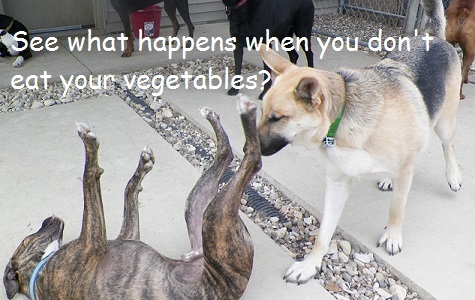 What better day to share some yummy veggies with your canine friends? If you are not already providing your pup veggies as part of her meals or treats, you may be missing a wonderful addition to her diet. Vegetables may be given frozen, raw, cooked or puréed depending on the type of veggie and your dog’s preferences. Never give your dog veggies that have been cooked with salt, spices, sugar, butter, or sauces; and, always make sure cooked veggies have cooled down in temperature before feeding them to your dog. All vegetables are not created equal, so make sure you check with your veterinarian before adding something new to your pup’s diet. Some veggies can be harmful if given in large quantities and some veggies are all around bad for dogs. 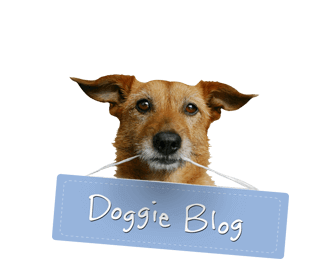 Below are five vegetables generally accepted as good for humans and pups alike! Green beans. No, not the green bean casserole that is so popular, but straight up green beans. Many dogs love these frozen, but they can also be served cooked. Simply cut off the ends, wash the beans, and boil covered for about 10 minutes. Green beans are a great source for vitamins C and K, plus manganese and fiber! Your pup’s friends will be green with envy for this snack. Carrots. Carrots are a fabulous addition to meals or nice little snacks. If your dogs don’t like them raw, try steaming them for 3-6 minutes until tender. The next time your pup’s doc asks you ‘What’s up?’ you can answer ‘Vitamins A, K and C, potassium, and fiber’ – all found in carrots! Peas. Peas can be added to your dog’s meals frozen or thawed for an easy boost in vitamins K, C and B, and fiber. These little green orbs may be small, but they’re mighty – just like a lot of dogs I know! Pumpkin. It’s not just for Halloween anymore! Pumpkin is full of fiber, beta carotene, and vitamin A. Don’t worry about waiting for pumpkin season, you can find canned pumpkin all year. Make sure it is plain pumpkin and NOT pumpkin pie filling!! Dogs cannot have the spices and sugar found in these mixtures. Mix a little in with your pup’s dinner and watch him chow down! Sweet Potatoes. If you have a dehydrator, you can make some dehydrated treats for your dogs; otherwise, mashed is a great way to add these veggies to meals. Simply peel, wash, cut, and boil in plain water for about 20 minutes or until tender, and mash. These root vegetables contain vitamins A, C, and B6, plus potassium. How sweet is that? Does your dog have a favorite vegetable? Let us know below!